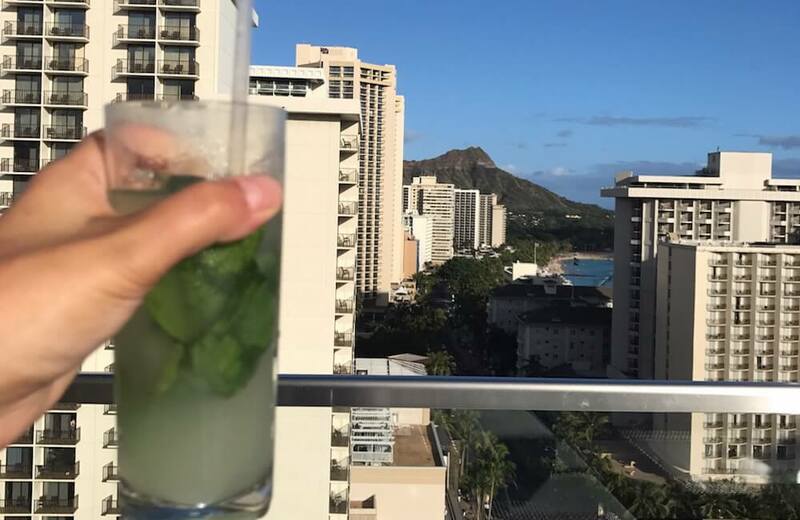 If you’re looking to indulge in cocktails while visiting the Aloha state these ten Waikiki bars are a great place to start. No matter what Hawaii restaurant or bar you find yourself in, inevitably the drinks menu features a list of irresistible liquid works-of-art. Classic cocktails like the Mai Tai, Blue Hawaii and Lava Flow are offered up, alongside tantalising modern concoctions usually flavoured with coconut, guava, pineapple or lilikoi (passionfruit). With drink titles such as Endless Summer, Hawaiian Love Affair and Tropical Sensation you won’t be able to resist a bevvy… or three. 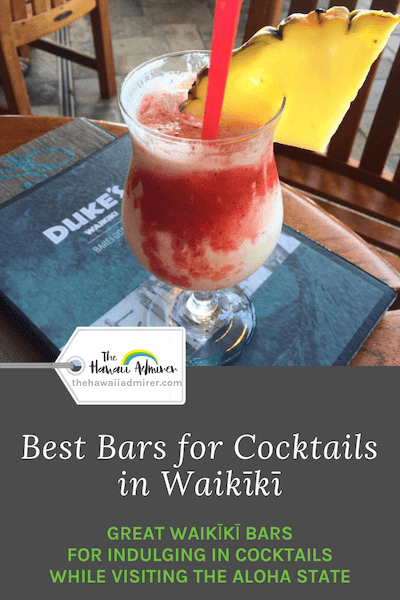 So pull-up-a-seat at any one of these great Waikiki bars and let the Hawaii cocktails and dreams flow. 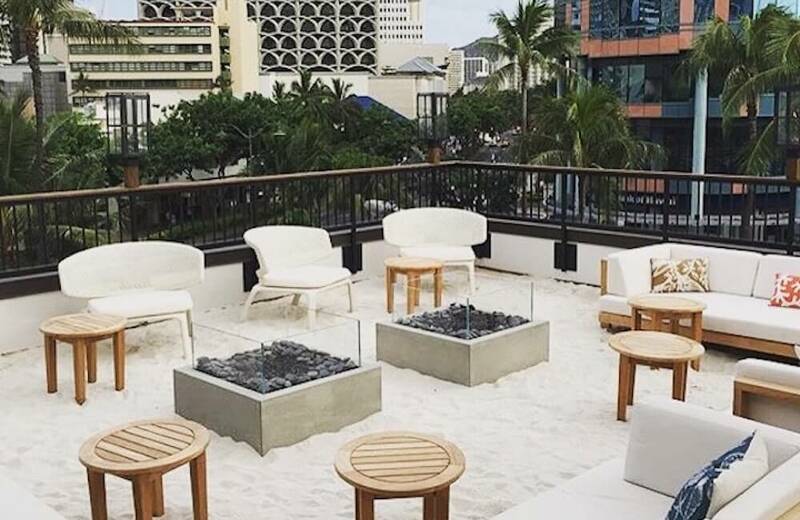 RumFire Waikiki is the perfect go-to bar in central Waikiki, especially for sunset drinks. 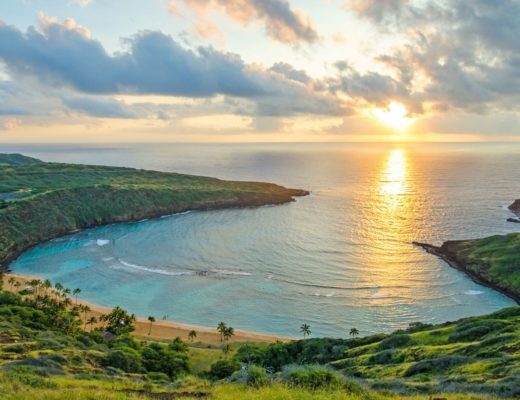 RumFire combines epic oceanfront views with liquid aloha cocktails, carafes of sangria and local beers. They also offer an impressive list of Cruzan Single Barrel Rum cocktails. Tip: Take “High Tea” to the next level with “Spiked Tea” served daily from 1:00-4:00pm. It includes 1 spiked tea cocktail, 2 sliders, 1 dried fruit and cream cheese scone served with jam and butter, and a dessert of your choice. SKY Waikiki serves signature cocktails with a panoramic view of Diamond Head and the Pacific Ocean. Visit at sunset for a social bite to eat, try the Perfect Cheeseburgers and Deep Fried Oreos dessert. Go late on a Friday or Saturday night for the nightclub experience. Tip: To avoid disappointment pre-book Dinner Reservations and add your name to the nightclub Guest List ahead of time. 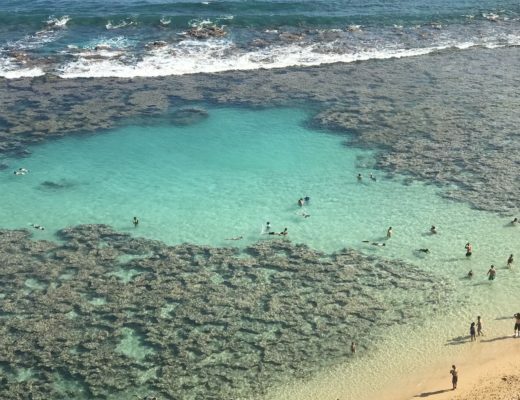 Duke’s Barefoot Bar is a must-visit Hawaii beach bar named in honour of the Native Hawaiian surf legend Duke Kahanamoku. 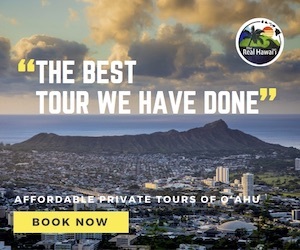 They make a strong Mai Tai, the Tropical Itch comes with its own back scratcher and the Hula Pie dessert is chocolate, cookie and macadamia nut heaven. Tip: Join Henry Kapono, an award winning and Grammy nominated singer and songwriter, for the “Duke’s on Sunday” session 4:00-6:00pm. 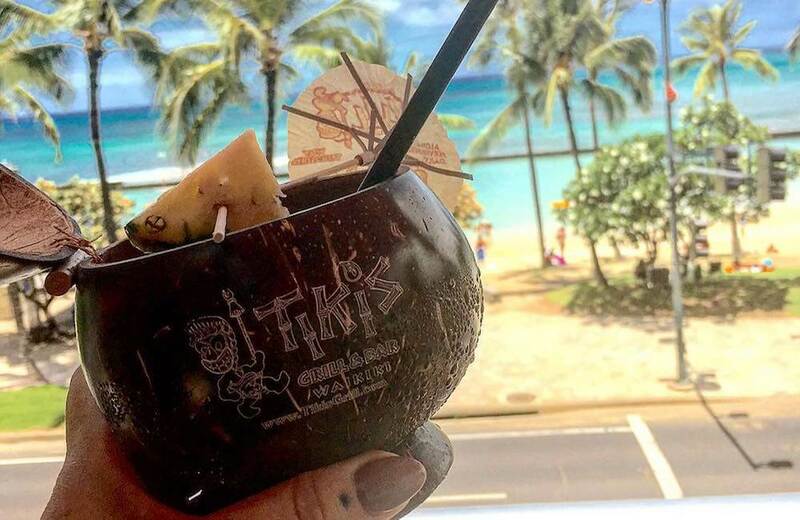 Tiki’s Grill & Bar is situated on a beautiful lanai (balcony) at the east end of Waikiki. 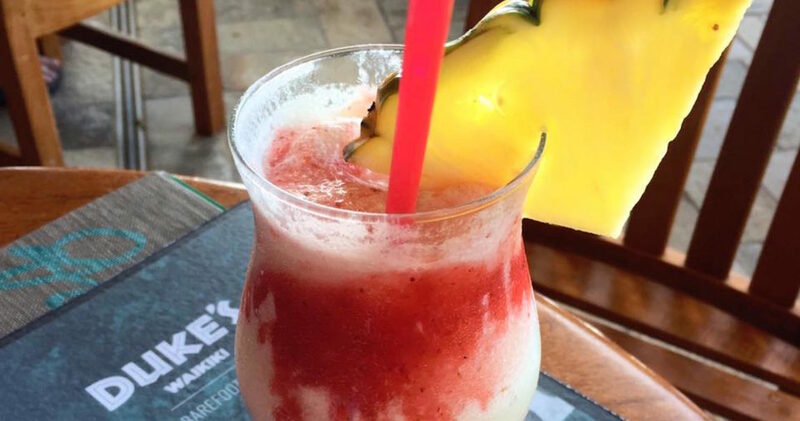 This tiki-themed establishment has a laidback vibe, tasty bar food including Tiki’s famous coconut shrimp and super-fun cocktails like the hibisKISS and Shark Bait. Tip: Get 1/2 off wine by the bottle or glass every “Wine Down Wednesdays” from 5:00pm-Midnight. 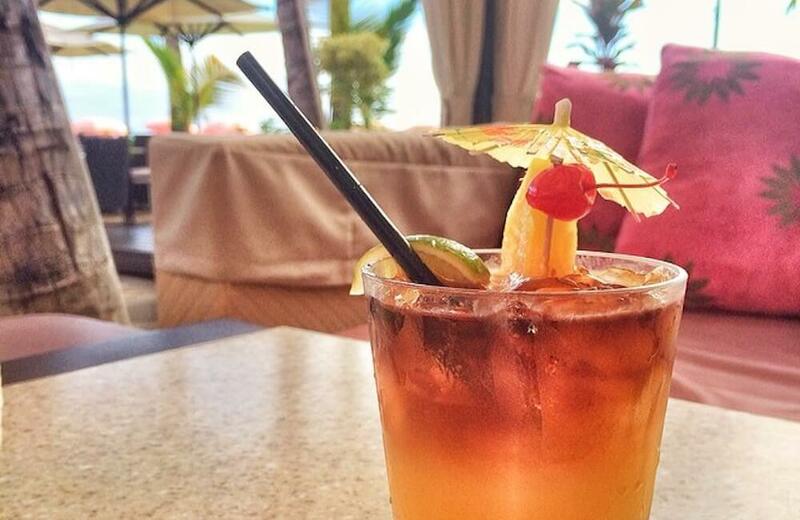 Mai Tai Bar is the place to find Hawaii’s most meaningful Mai Tai, right on the sands edge of Waikiki. 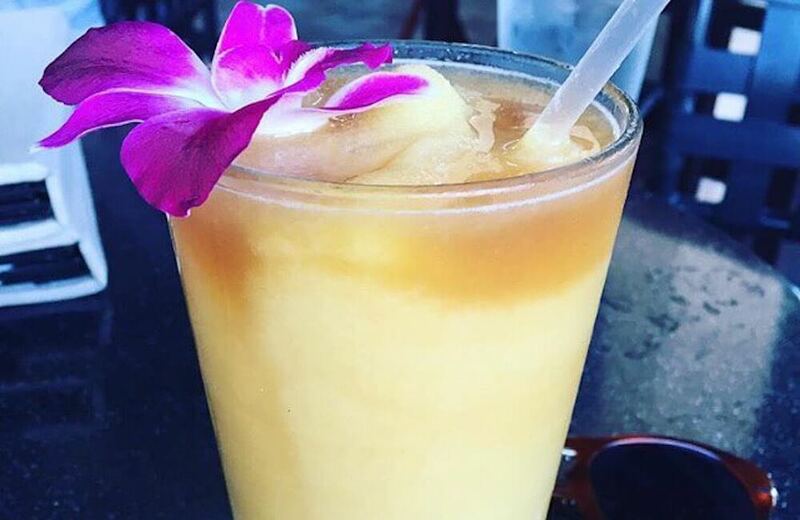 The original Mai Tai is said to have been created by “Trader Vic” Bergeron in 1944 and brought to Hawaii in 1953 where it was first served here at The Royal Hawaiian. 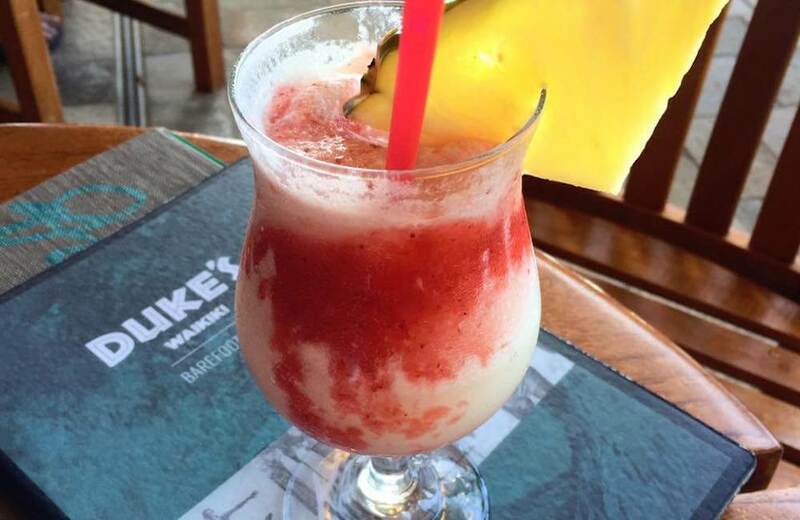 Tip: Ask for your tropical cocktail to be served in a freshly cut Maui Gold pineapple! Also, look closely at the cocktail prices, once I ordered two Ali’i (King) Mai Tais without realising (until the bill came) that they were US$35 each! Mai Tai Bar is located on the Ho’okipa Terrace at Ala Moana Center, a nightlife epicenter. Island residents gravitate to this open-air bar for pau hana (after work) drinks. 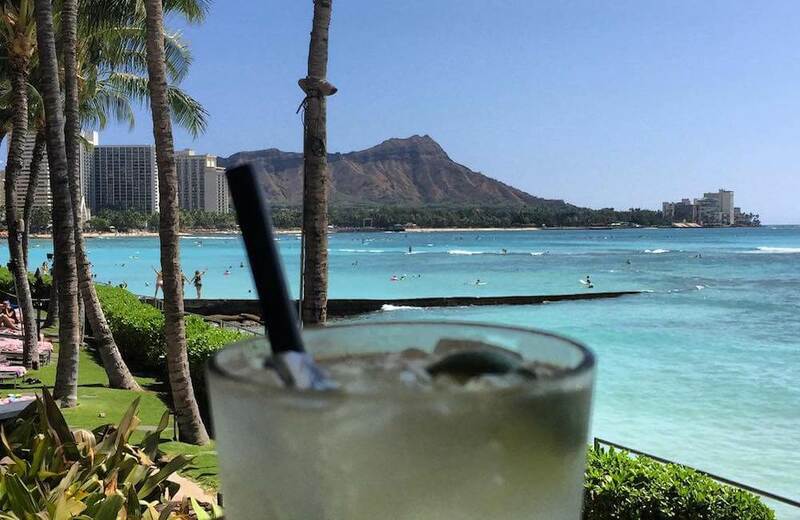 It’s a great venue to enjoy Hawaii cocktails while sampling a “locals” atmosphere. The Study Lounge is one of the most sophisticated bars in Waikiki hidden behind a bookshelf in the lobby of The Modern Honolulu hotel. It has a chill atmosphere where you can sink into lounges, sip on specialty cocktails and listen to fantastic local artists. 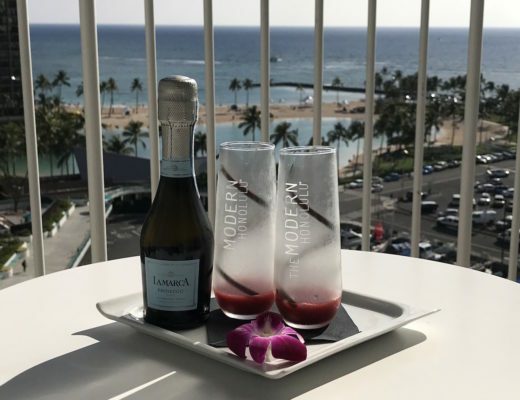 Tip: You can enjoy cocktails onsite at The Modern Honolulu at two other venues, poolside at Passageway + The Grove and Addiction nightclub. Waiolu Ocean View Lounge is somewhat of a “secret” open-air bar found on the first floor of the Trump International Hotel Waikiki overlooking Fort DeRussy Park. Unwind over tapas and handmade specialty drinks including the Worlds Best Mai Tai (as voted in 2011). 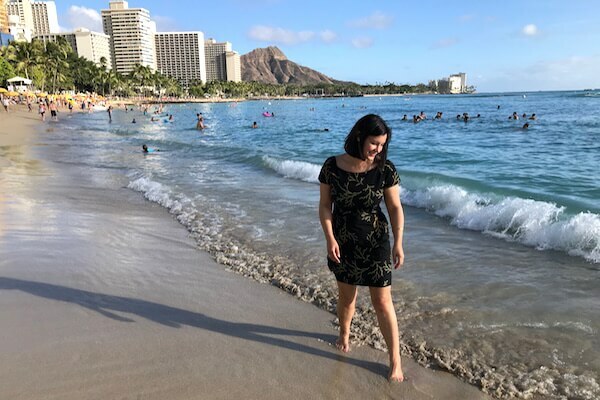 Tip: On a Friday night you’ll get uninterrupted views of the free fireworks show here at 7:45pm, they launch from the nearby lagoon at the Hilton Hawaiian Village. Kani Ka Pila Grille is a casual poolside bar famous for live Hawaiian music. 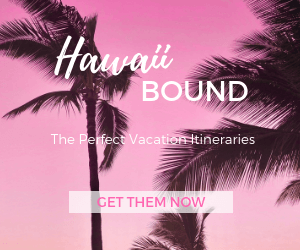 If you like the sound of kicking back with a delicious cocktail in hand, sampling island-inspired fare and enjoying Hawaii’s most legendary musicians, then this is the place to go. Tip: Get your Mai Tais for only US$5 during Happy Hour! Tommy Bahama Restaurant & Bar consists of a ground floor retail store, second-story dining room and third-story rooftop bar with a beachy cocktail area complete with actual sand, coastal decor and fire pits. A top spot to hang-out and socialise over cocktails. Tip: This is a spacious restaurant and bar making it a good choice for group reservations.